On August 2, 2017, a training seminar on international business protocol/etiquette was held. 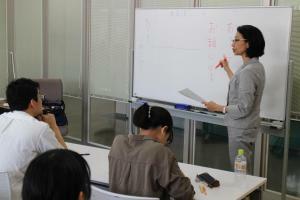 3 program students participated in the seminar taught by a guest instructor Ms. Takako Takasawa to learn required manners for internships and job placement. 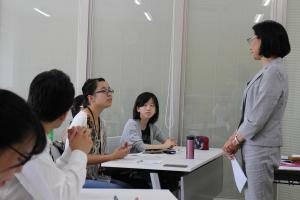 Ms. Takasawa's lecture was proceeded in a friendly atmosphere and the students worked on the tasks in anticipation of future need.